I got the Weapons section to show only the weapons a given unit would be using. 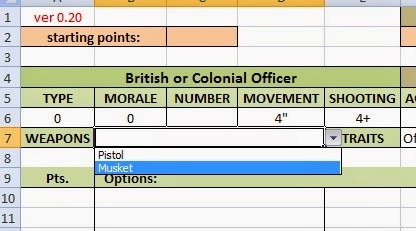 So if one picked a British Officer, only the two choices would be available. If one picked indians they would get three choices. I got productive when I couldn't sleep, though I will suffer when I go to work later today.